So you’ve made the decision to get a peel. You know all the ins-and-outs of what takes place during the treatment but do you know what to do before your facial peel or even after? Here’s how to make the most of your peel and ensure you get the full benefits and best result. 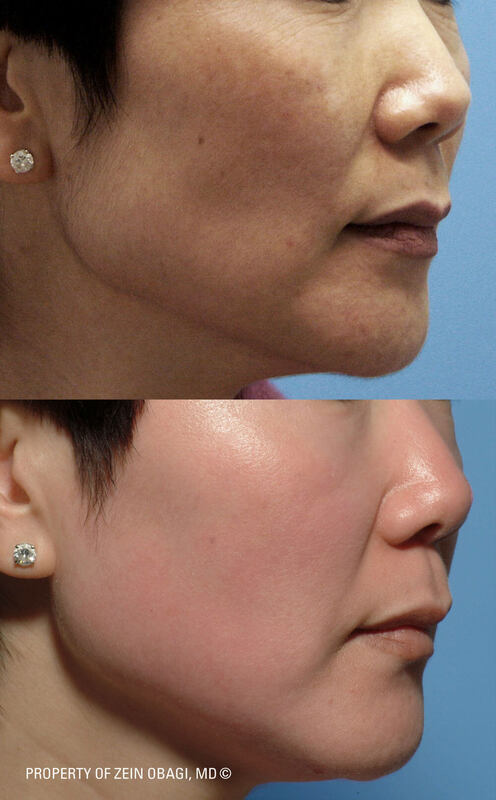 To enhance the results of your peel, your physician should start you on a ZO® program based on your skin type. 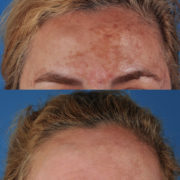 For patients with a high risk of pigmentation problems, your physician may recommend some form of bleaching and correcting creme. Avoid any form of laser hair removal, electrolysis, waxing or use of depilatory creams. Discontinue the use of topical retinoids, alpha hydroxy acids, beta hydroxy acids, benzoyl peroxide, retinol and other potentially irritating products. 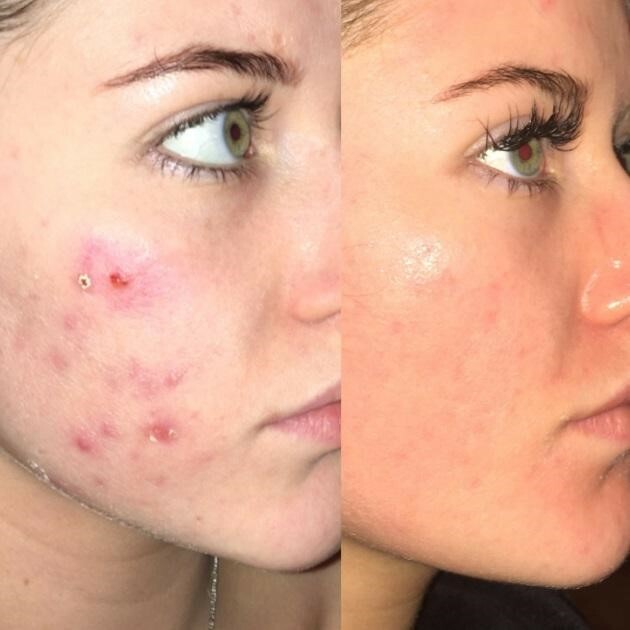 N.B: If you have had any procedure such as IPL, laser or microdermabrasion, avoid having a peel treatment until your skin has completely healed. Don’t panic! 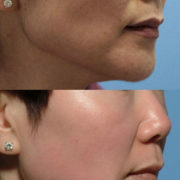 Redness, stinging, itching, tightness, mild swelling, flaking, and peeling, are all normal reactions following a peel. The severity of these responses varies for each individual. 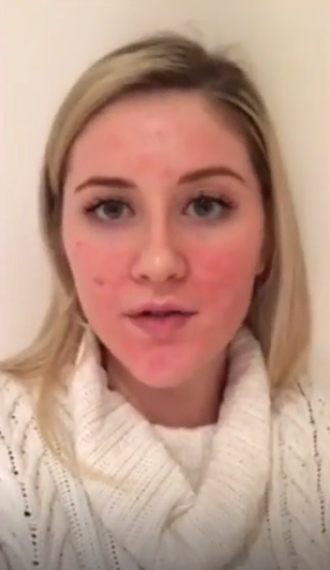 Exfoliation generally will start 2-3 days after treatment and ends by approximately day 5. For at least 7 to 10 days following the peel, avoid direct sun exposure to best allow your skin to fully heal. If at any time throughout the healing process direct sun exposure cannot be avoided, use Oclipse-C Broad Spectrum Sunscreen SPF 50 protection as necessary. Apply very lightly and gently to avoid premature exfoliation. Besides the Retinol Crème, do not use alpha hydroxy acids, beta hydroxy acids, benzoyl peroxide, retinoids and other potentially irritating products until the skin has fully healed. You should also avoid running water directly on your face while showering. Avoid strenuous exercise and consequent sweating until the skin has completely healed. Do not have any other procedures such as facials, hair removal, microdermabrasion and lasers until the skin has fully healed. Once your skin has healed, return to the daily ZO® program your physician would have recommended. 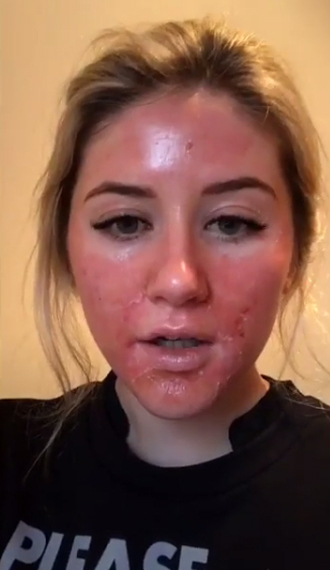 An effective exfoliator is essential for any good skin care routine but what’s the difference between using a face scrub or getting a chemical peel? And which one is right for you? To help you come to a decision, it’s good to understand all the ins-and-outs of these two types of exfoliators. 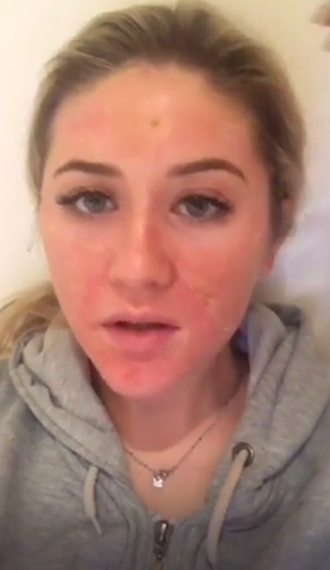 Do chemical peel results outweigh those of a facial scrub? Or maybe, a scrub is more time-friendly for you. Find out below. A peel is a chemical exfoliator that usually has a watery, gel-like consistency. They are designed to remove the top layer of skin to reveal a fresh, healthy layer beneath it. There are at-home peels and in-office peels. At-home chemical peels, such as the ZO Medical Invisapeel™ are more moderate in their treatment intensity and can be applied by yourself. 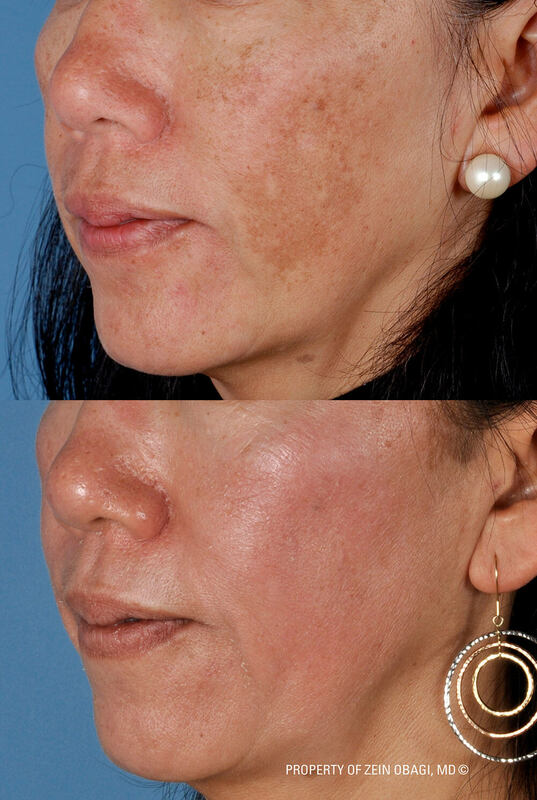 Increasingly aggressive chemical peels are used to treat more stubborn skin problems like melasma or severe acne. These must be carried out by a skin health professional. Discover the different chemical peels ZO® offers here. A facial scrub is a manual exfoliation that is usually a liquid-type product with a gritty texture. When applied and massage into the skin helps to slough away dead skin cells, to reveal smoother skin. Scrubs are easier to attain as you can find them in most beauty aisles in high-street stores. But you should avoid those that contain naturally derived grains as their exfoliating ingredient such apricot kernels, or natural seeds as they can cause skin irritation, especially for sensitive, rosacea and acne skin. An exfoliator such as the Offects® Exfoliating Polish contains round magnesium crystals to exfoliate dead skin cells without aggravating the skin. Which is Better On the Whole? This is actually kind of a trick question. As we’d actually say both. Dr Obagi believes that a scrub should be part of your daily skincare routine. It is actually a necessary step in his GSR™: Get Skin Ready protocol and recommended to use for prepping the skin prior to a peel. A face scrub can ensure your chemical peel better penetrates the skin for optimal results. Although getting a chemical peel is dependent on your skin type. If you have very sensitive and intolerant skin, for example, a peel may be too unbearable for you. 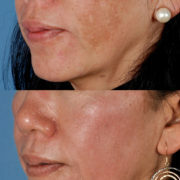 You should work with your skin health professional to build up your skin’s tolerance before starting on chemical peels. 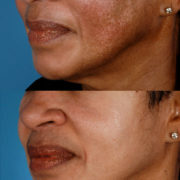 A chemical peel is more powerful and penetrates much deeper within the skin than scrubs do. They are fantastic for those with skin problems such as severe acne, uneven textured skin tone, hyperpigmentation and ageing skin. Find your nearest ZO® Skin Health professional here. 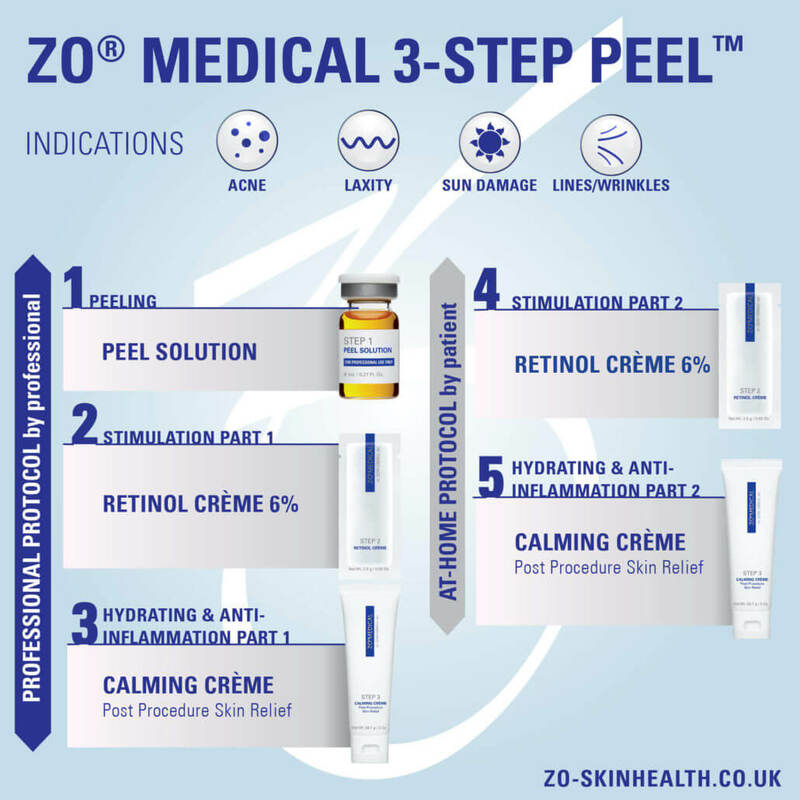 So we’ve told you all about the different ZO® Signature Peels we offer, but how does a peel in itself work to achieve skin rejuvenation? If you’re feeling apprehensive about getting a facial peel, it can help to know what exactly they are. 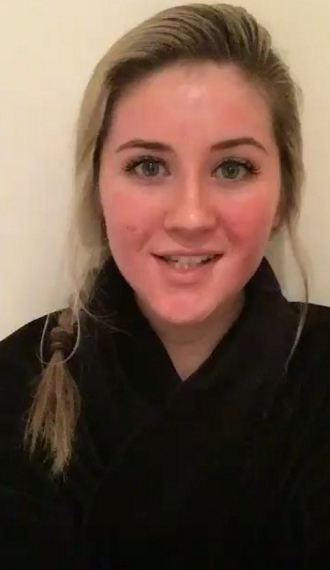 Learn what a chemical peel entails and how it manages to give you revitalised and youthful skin. 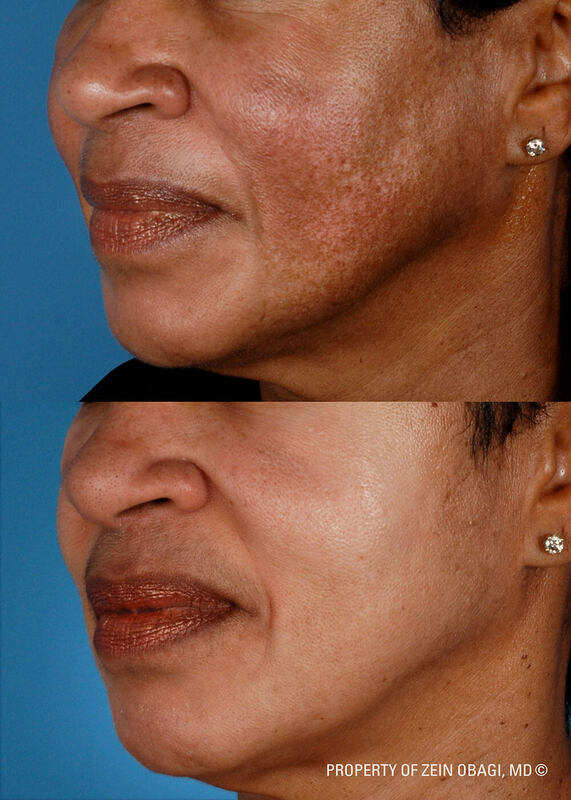 A chemical peel is very simply a chemical solution that can be applied to the skin. It is designed to give a deeper exfoliation than your average at-home scrub, to help actually peel off the damaged upper layer of skin to reveal new, revitalised skin underneath. Peels are one of the most effective ways to treat signs of ageing, discoloration and UV damage. Commonly used for the face, chemical peels can also be used on the body such as the neck and hands. They can be used to correct and reduce conditions such as a damaged skin surface, pigmentation, uneven texture, lines and wrinkles. They can not only reverse these skin problems but also increase the overall health of the skin. Peels go beyond exfoliation to provide dermal and epidermal stimulation that help stabilise skin functions and support skin renewal. Designed to improve and correct a wide range of skin disorders, each treatment helps to achieve a specific skincare goal for every patient’s skin condition, lifestyle and skin health objective. 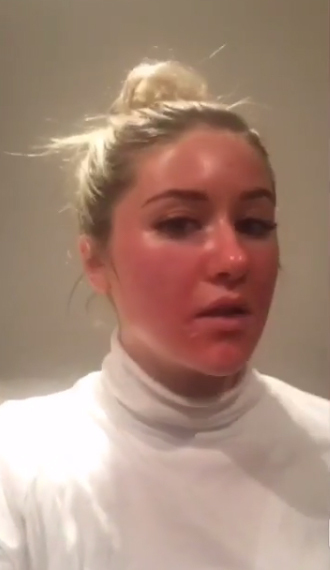 Chemical peels do sting but do not cause an extensive amount of pain. It’s a discomfort but you should not worry about experiencing unbearable levels of pain. Your tolerance is generally built up, with your skin health professional but you should always speak to them openly about what you can and cannot tolerate. Find your nearest ZO Skin Health professional here. There are three basic levels of intensity when it comes to peels; superficial, medium and deep. 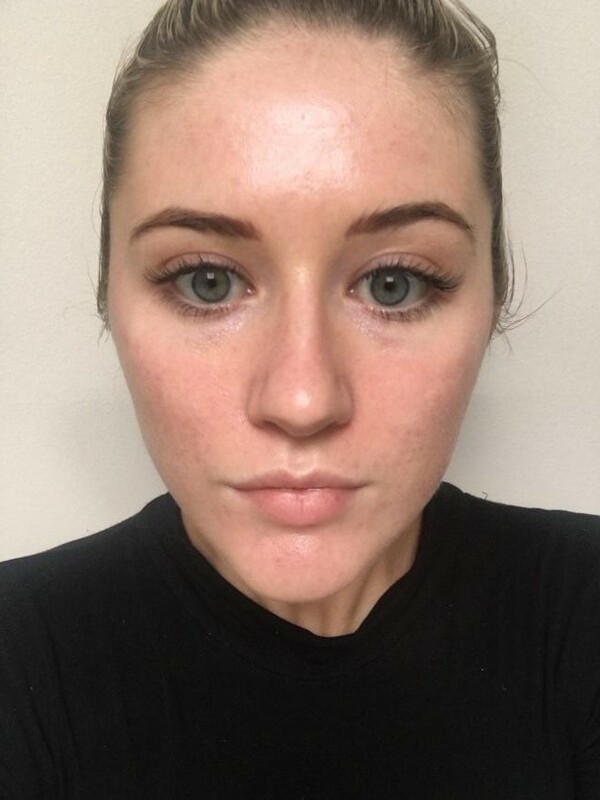 The intensity of the peel is entirely down to you, in terms of what improvement you want to see, the downtime you can afford to take and the level of irritation you can tolerate. 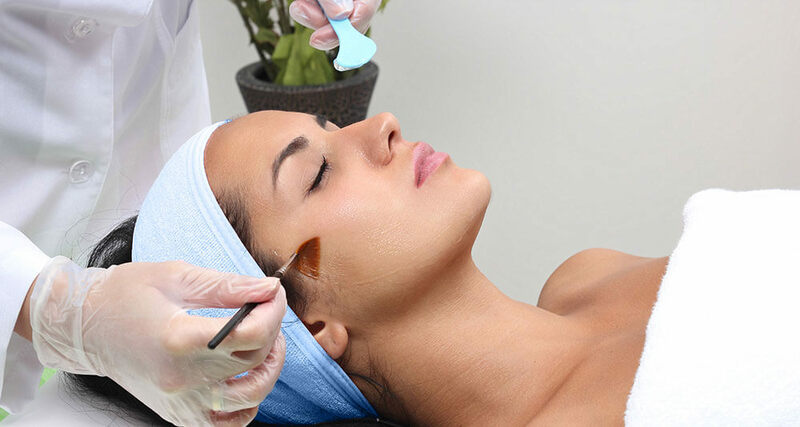 Browse our chemical peels. These peels only penetrate and gently exfoliate the outer layer of skin (the epidermis). It’s suitable for mild skin discoloration, rough skin and for general skin rejuvenation. Your skin may feel tight for a couple of hours afterwards but will return to normal following this. However, due to the mildness of this peel, regular treatment is needed to maintain its effects. This peel can penetrate the outer and middle layers of skin to remove damaged skin cells. 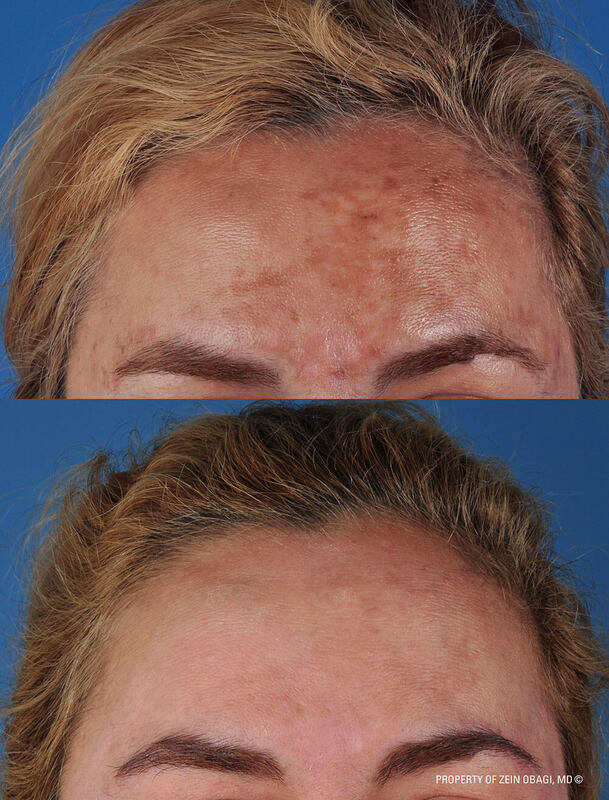 This type of peel can be used to improve skin pigmentation such as freckles and age spots in addition to moderate skin discoloration, fine lines and wrinkle. It also can be used to smooth rough skin and treat skin growths such as actinic keratosis (chicken skin). Learn more about ‘chicken skin’ here. With a medium intensity peel, you may experience a slight stinging sensation when the peel is applied. Your skin may also go slightly brown or red in the days following the treatment and can take up to 6 weeks to return to normal. Although, you only need to return every 6 – 12 months to maintain its benefits. This level of intensity is the most aggressive treatment that targets the deeper layers of skin. You can expect to see a dramatic improvement in your skin with this peel as it can help remove tougher skin problems such as melasma, deeper wrinkles and scars. This peel can cause some discomfort and visible peeling for a few days. 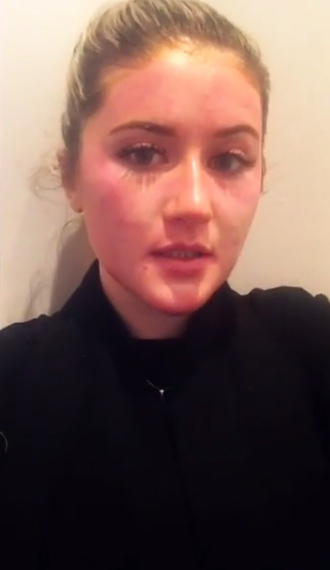 Swelling can last up to 2 weeks, whilst skin redness can take up to 3 months to diminish. However, it all depends on the individual and your skin’s level of tolerance. Which is why it is so important to speak openly with your skin health professional and discuss the best option for you. Note that this peel can only be performed once. The ZO® Retinol Stimulation Peel is ideal for skin that has a rough texture, uneven tone, dullness and lines and wrinkles. A physician-directed, at-home peel that utilises Ossential® Advanced Radical Night Repair for epidermal renewal and dermal stimulation. High potency 1.0% retinol encapsulated in time-released microspheres that penetrate the epidermis and deliver maximum efficacy with minimal irritation. Provides superficial exfoliation, promotes cell turnover and stimulates deeper cellular activity for firmer more even toned skin. Improves the appearance of the skin and also its ability to repair and renew itself. Highly tolerable with no downtime. Ideal for the face, neck, and chest. Has potent antioxidant, anti-redness and anti-irritation effects. 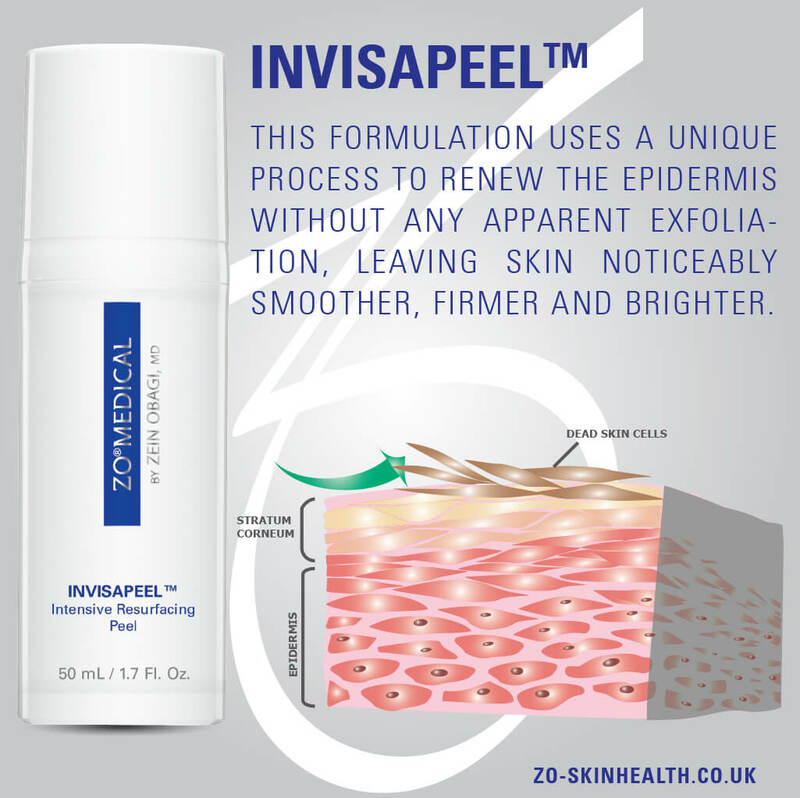 Stabilises the epidermis and skin barrier function. The Ossential® Advanced Radical Night Repair is a key at-home step for the ZO Retinol Stimulation Peel. But what are its benefits for the skin?